In early January, the Directorate-General for Interpretation of the European Commission held another Training for Trainers seminar. This time DG SCIC experts organized a training for CI trainers who work with German. The Caspian Higher School of Interpreting and Translation was represented by Dmitry Krutilov, our young specialist, an interpreter with German and English and a starting trainer of our School. The geography of participants was truly wide: there were experts from Austria, Bulgaria, Germany, Ireland, Italy, Romania, Russia, Serbia, the Czech Republic and Switzerland. 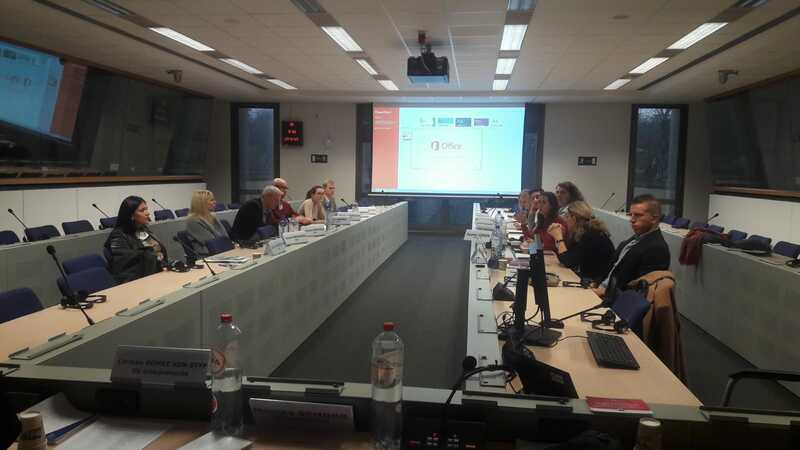 The seminar was held by Monika Schorr and Andrea Hupmann, SCIC interpreters from the German unit. The programme included both theoretical and practical training sessions. The participants discussed how to give proper feedback to students, how to train memory, teach consecutive and simultaneous interpretation, how to arrange the transition from consecutive to simultaneous interpretation and stressed the importance of teaching the consecutive, though it is being replaced by simultaneous more frequently. The seminar trainers and other experts of DG SCIC actively applied role-play methods and simulation of different situations to enhance a better understanding of the topics discussed. The participants were shown a mock test of a candidate willing to become an interpreter at DG SCIC. They were also told what aspects they should pay attention to when preparing students for this test. In general, the seminar provided numerous benefits for both the participants and organizers. Recommendations, experience and ideas gained from the seminar will help improve the training process and maintain high EU standards of training interpreters.